The morning, to me, is the most important time of the day. And that’s kind of a weird thing to say since I am not really a morning person but something that really helped to overcome this issue and make my morning as pleasant as possible is to create a nice morning routine I look forward to. And that starts with snoozing.. a lot.. During my snoozing moment my boyfriend gets up and starts making a fresh juice and a morning coffee. And that’s what wakes me up, a strong soy cappuccino. Right after coffee I hop under the shower and that’s where my skincare routine starts! After cleansing comes moisturizing. 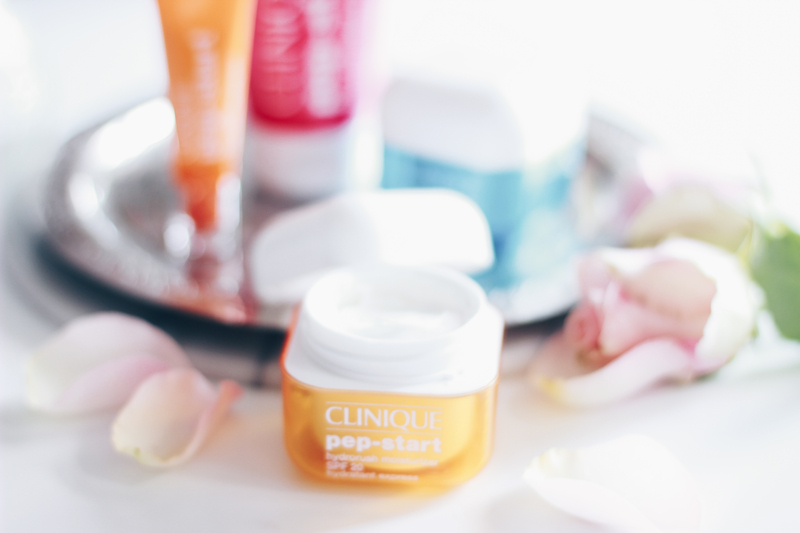 I start with an eye cream to prevent puffy eyes and I love using the pep-start eye cream. It hydrates, brightens and perks your under eyes up in 3 seconds! 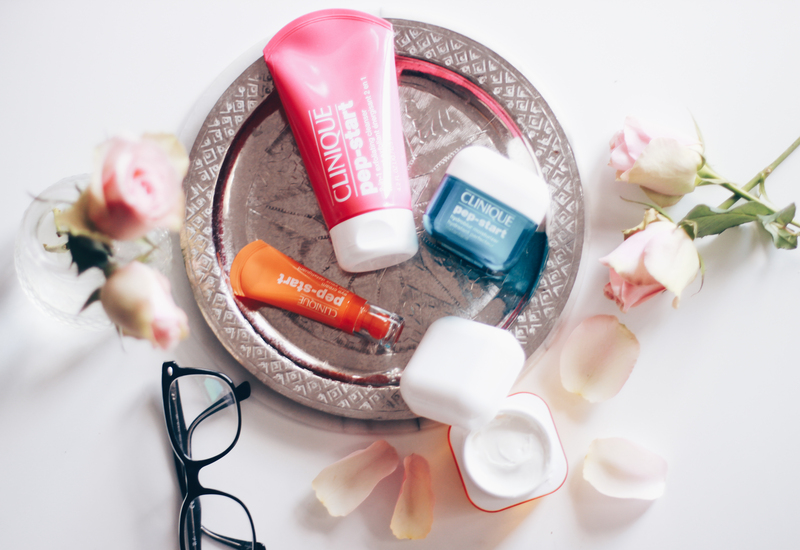 After eyecream I always use a moisturizer, the more hydrating the better. I’m using the Hydrorush moisturizer because it feels like you splash water in your face. 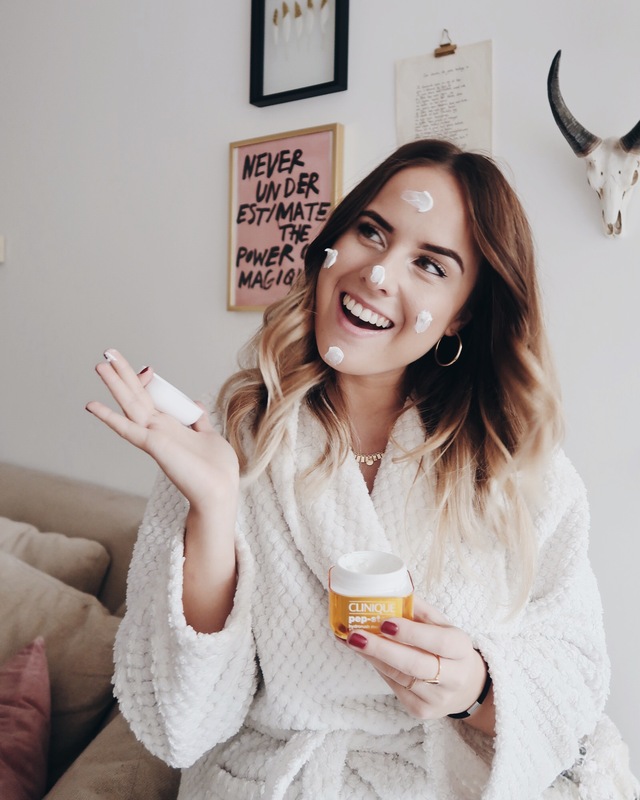 It’s super fresh, hydrating and it protects your skin with UV protection which is a big plus for me. It’s not enough for a summer holiday but perfect for this time of year when you run around the city all day everyday like moi! After my skincare routine it’s time to do my make-up. My daily make-up routine is always simple, natural but with either a winged line or a bright lipstick! I love this time of the day, prepare myself for a day full of meetings or a long day at the office. After make-up time which I always finish in less then 10 minutes it’s time to have some breakfast, pack my bags and leave! 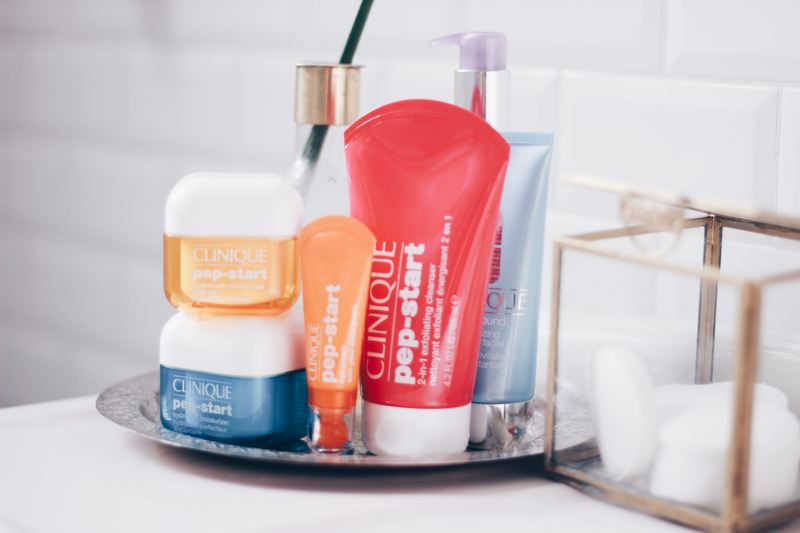 I hope you guys enjoyed reading about my morning routine and some new skincare products I love using! If you have any questions please let me know in the comments and I will answer them for you. Mooie producten! Ik ben de laatste tijd ook erg aan het experimenteren met nieuwe producten en probeer echt ‘savonds en ‘sochtends mijn gezicht goed schoon te maken.